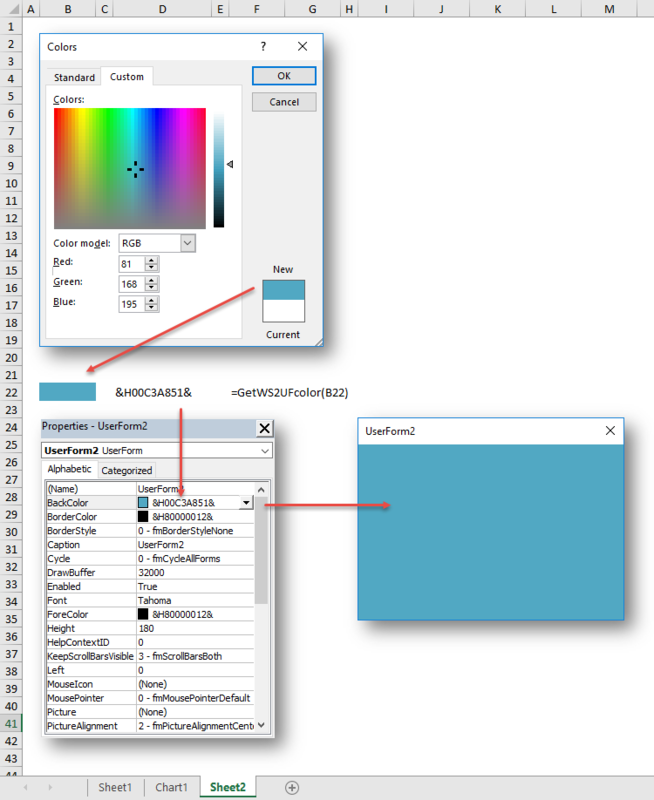 Description: returns the Fill color of a worksheet cell in UserForm (UF) &H hex & format 11 character format. Arguments: Reference (required): a WS cell. GetWS2UFcolor = "&H" & Right("000000" & Hex(Reference.Interior.Color), 8) & "&"